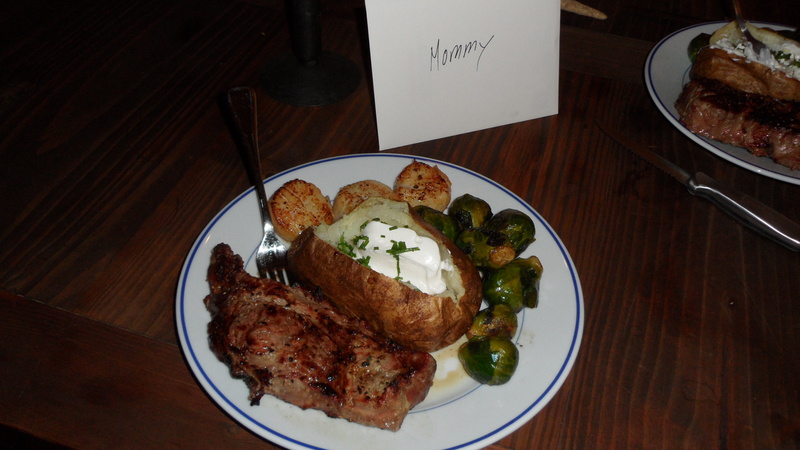 For Mother’s Day, my husband made a delicious dinner of steak, scallops, brussels sprouts, and baked potatoes. 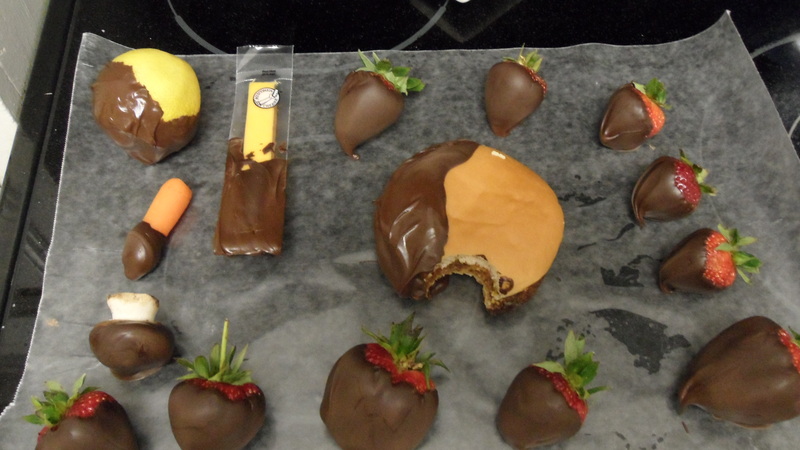 a lemon, a cheese stick (still in the wrapper), a baby carrot, a mushroom, and my favorite, a McDonald’s hamburger that he had saved in the fridge from his last guilty pleasure trip. It was definitely one of the funniest things I’ve seen!